VJ Books Presents Author Charlaine Harris! 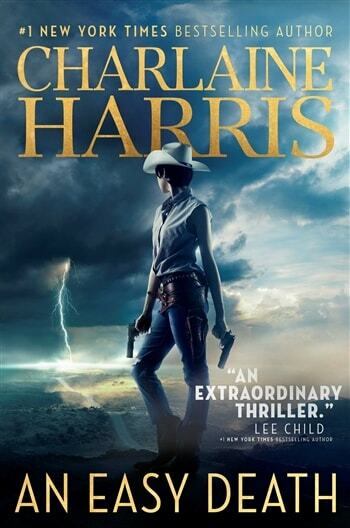 Charlaine Harris is a New York Times bestselling author who has been writing for over thirty years. She was born and raised in the Mississippi River Delta area. Though her early works consisted largely of poems about ghosts and teenage angst, she began writing plays when she attended Rhodes College in Memphis, Tennessee. She switched to novels a few years later, and achieved publication in 1981 with Sweet and Deadly. 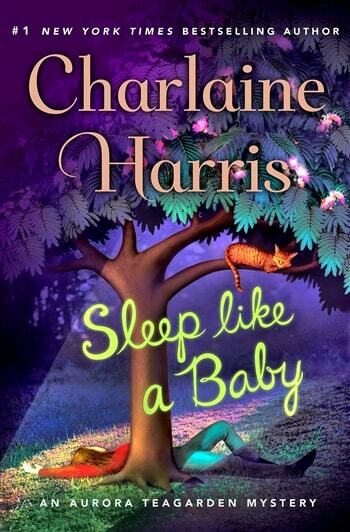 After publishing two stand-alone mysteries, Harris launched the lighthearted Aurora Teagarden books with Real Murders, a Best Novel 1990 nomination for the Agatha Awards. Harris wrote eight books in her series about a Georgia librarian. In 1996, she released the first in the much darker Shakespeare mysteries, featuring the amateur sleuth Lily Bard, a karate student who makes her living cleaning houses. Shakespeare's Counselor, the final, Lily Bard novel, was printed in fall 2001. By then, Harris was feeling the call of new territory. Starting with the premise of a young woman with a disability who wants to try inter-species dating, she created The Sookie Stackhouse urban fantasy series before there was a genre called "urban fantasy." The first book in the series, Dead Until Dark, won the Anthony Award for Best Paperback Mystery in 2001. 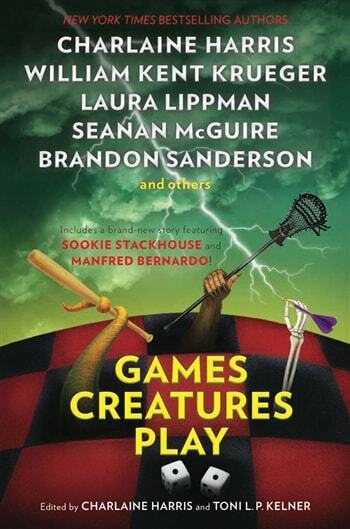 Each subsequent book follows Sookie through adventures involving vampires, werewolves, and other supernatural creatures. The series, which ended in 2013, has been released in over thirty languages. Sookie Stackhouse has proven to be so popular that Alan Ball, creator of the HBO television series Six Feet Under, announced he would undertake the production of a new HBO series based upon the books. He wrote and directed the pilot episode for that series, True Blood, which premiered in September of 2008. 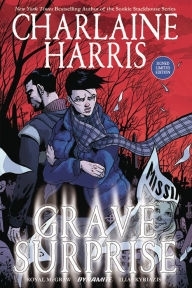 In October 2005, the first of Harris's new mystery series about a young woman named Harper Connelly debuted with the release of Grave Sight. Harper has the ability to determine the cause of death of any body. After four novels, this series is on hiatus. Now Harris is working on a trilogy of graphic novels with Christopher Golden and artist Don Kramer, "Cemetery Girl." On her own she is writing a new series set in the small town of Midnight, Texas. Harris has also co-edited a series of very popular anthologies with her friend Toni L.P. Kelner, aka Leigh Perry. The anthologies feature stories with an element of the supernatural, and the submissions come from a rare mixture of mystery and urban fantasy writers. 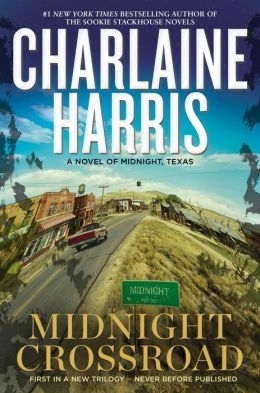 Professionally, Harris is a member of the Mystery Writers of America, the American Crime Writers League, Sisters in Crime, and the International Crime Writers Association. She is a past member of the boards of Sisters in Crime and MWA, and she has served as president of the MWA. She is also a member of Science Fiction Writers of America, Horror Writers Association, and Romance Writers of America. Harris has been married for many years. She mother of three wonderful children and the grandmother of two. She lives in central Texas, and when she is not writing her own books, she reads omnivorously. 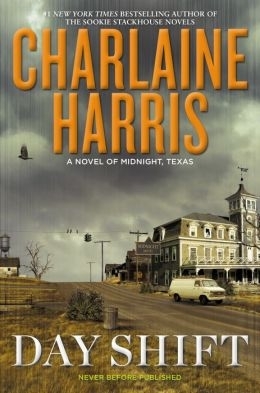 Shop our selection of Charlaine Harris signed books below this author biography! 2010 MI: Brilliance Audio Unabridged, 11 CD's, approximately 13 hours, read by Christopher Lane and Amanda Ronconi. Author Signed Hardcover Book. October 2013 NY: Ace Hardcover Book First edition, first printing, mint, new/unread in a flawless dust jacket, signed by the author. Each dust jacket is protected in an acid-free archival quality acetate cover. Author Signed Hardcover Book. 2016 NY: St. Martin's Press Book First edition, first printing, mint, new/unread in a flawless dust jacket, signed by the author. Each dust jacket is protected in an acid-free archival quality acetate cover. Author Signed Hardcover Book April 2010 NY: Berkley Prime Crime First edition, first printing, mint, new/unread in a flawless dust jacket, signed by the author. Each dust jacket is protected in an acid-free archival quality acetate cover. Author Signed Hardcover Book April 2010 LON: Gollancz First UK edition, first printing, mint, new/unread in flawless pictorial boards (no jacket as issued), signed by the author. Author Signed Hardcover Book. April 2015 NY: Penguin Group First edition, first printing, mint, new/unread in a flawless dust jacket, signed by the author. Each dust jacket is protected in an acid-free archival quality acetate cover. Author Signed Hardcover Book. 2009 NY: Penguin Group First edition, first printing, mint, new/unread in a flawless dust jacket, signed by the author. Each dust jacket is protected in an acid-free archival quality acetate cover. Author Signed Hardcover Book. 2009 NY: Penguin Group First edition, later printing, mint, new/unread in a flawless dust jacket, signed by the author. Each dust jacket is protected in an acid-free archival quality acetate cover. Author Signed Hardcover Book. May 2013 NY: Penguin Group First edition, first printing, mint, new/unread in a flawless dust jacket, signed by the author. Each dust jacket is protected in an acid-free archival quality acetate cover. Author Signed Hardcover Book. 2010 NY: Penguin Group First edition, first printing, mint, new/unread in a flawless dust jacket, signed by the author. Each dust jacket is protected in an acid-free archival quality acetate cover. Author Signed Hardcover Book. 2011 NY: Penguin Group First edition, first printing, mint, new/unread in a flawless dust jacket, signed by the author. Each dust jacket is protected in an acid-free archival quality acetate cover. Author Signed Hardcover Book. 2011 NY: Penguin Group First edition, first printing, fine in a fine dust jacket, signed by the author. Each dust jacket is protected in an acid-free archival quality acetate cover. Author Signed UK Hardcover Book. 2011 LON: Gollancz First UK edition, first printing, mint, new/unread in a flawless dust jacket, signed by the author. Each dust jacket is protected in an acid-free archival quality acetate cover. Author Signed Hardcover Book. October 2018 NY: Saga Press First edition, first printing, mint, new/unread in a flawless dust jacket, signed by author. Each dust jacket is protected in an acid-free archival quality acetate cover. Author Signed Hardcover Book 2014 NY: Ace Hardcover Book First edition, first printing, mint, new/unread in a flawless dust jacket, signed by Charlaine Harris. Each dust jacket is protected in an acid-free archival quality acetate cover. Author Signed Hardcover Book 2014 NY: Ace Hardcover Book First edition, first printing, fine in a fine dust jacket, signed by Charlaine Harris, remainder marked. Each dust jacket is protected in an acid-free archival quality acetate cover. Author Signed Hardcover Book. October 2007 NY: Berkley Prime Crime First edition, first printing, mint, new/unread in a flawless dust jacket, signed by the author. Each dust jacket is protected in an acid-free archival quality acetate cover. Author Signed Hardcover Book. June 2017 NY: St. Marin's Press First edition, first printing, mint, new/unread in a flawless dust jacket, signed by five of the contributors. Each dust jacket is protected in an acid-free archival quality acetate cover. Author Signed Hardcover Book. May 2014 NY: Penguin Group First edition, first printing, mint, new/unread in a flawless dust jacket, signed by the author. Each dust jacket is protected in an acid-free archival quality acetate cover. Author Signed Hardcover Book. May 2016 NY: Ace Hardcover Book First edition, first printing, mint, new/unread in a flawless dust jacket, signed by the author. Each dust jacket is protected in an acid-free archival quality acetate cover. Author Signed Hardcover Book. May 2016 NY: Ace Hardcover Book First edition, first printing, fine in a fine dust jacket, signed by the author. Each dust jacket is protected in an acid-free archival quality acetate cover. Author Signed Hardcover Book March 2013 NY: Berkley Prime Crime First edition, first printing, fine in a fine dust jacket, signed by the author, remainder marked. Each dust jacket is protected in an acid-free archival quality acetate cover. Author Signed Hardcover Book. September 2017 NY: Minotaur Books First edition, first printing, mint, new/unread in a flawless dust jacket, signed by the author. Each dust jacket is protected in an acid-free archival quality acetate cover.